Make your toddlers jump for joy and make them jump high! One of the best ways to do it is undoubtedly by investing in toys, and nothing says “fun” like a trampoline does. Kids trampolines will guarantee to entertain your child and provide them with a good exercise. Backyard space is one less thing to worry about as kids trampolines come in different shapes and sizes. There are even portable and foldable indoor models, more suitable for the little ones, made so that they don’t bounce too high. We present our top five kids trampolines bellow. A classic among the kid’s trampolines. Not hard to assemble and even easier to use. It comes with a carrying bag and folding options. It can be used both outdoors and indoors, so all seasons are a go. Made for age 3+ with a 32" cushioned safety handlebar that’s easy to grip. It provides entertainment and protection as your child can hold onto it while jumping. Although parent supervision is always advised, bouncing height is calibrated carefully about the weight of the child under the age of 7, so all safety standards are approved. Not space consuming but it will sometimes keep the kids bouncing for hours until they have burned enough calories to quietly go napping and get ready for another day of fun. Easy setup - All you need to do is read the manual. Portable and folding options - Easy adjustable to fit your indoor or outdoor activities. Cushioned safety handlebar - Keeps those tender hands from getting blisters and keeps kids from jumping out of the bouncing area. Not for kids older than seven – It has limited weight capacity. This is a more elegant trampoline for a more agile toddler. Skywalker’s Round Bouncer will make your kids world go round… and bounce. This specific brand is famous as they come. Made with best safety standards such as 360-degree handlebars and stretch bands that can soften the bounce and keep its trajectory under control, Round Bouncer is one of the safest trampolines out there. It provides no less entertainment than others too. It is made gaps free with enclosures design that eliminates gaps on the jumping surface to which they are attached. It is slightly harder to assemble than the previous one, but still an easy setup and a tasteful design. It also comes with a safety net that keeps children from jumping out of the landing area. Gaps free with enclosures - Prevents knuckles jams and strains. Comes with a safety net - Keeps the kids in the bouncing area. Very high weight capacity - Can be used by a range of age/weight differing members. Space consuming - It is a bit bigger in diameter than the previous ones. 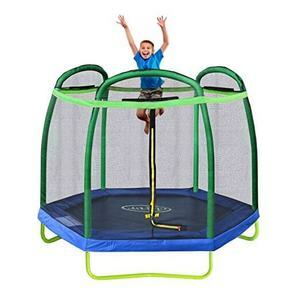 Skytric kid trampolines with ring enclosure constructs are surely among the easiest trampolines to assemble and disassemble for they are featured with enclosure poles. Although they do fit the kids active mini indoor trampoline category, they come in eleven feet diameter and hey, the top pole flexing enclosure systems offer the best stability and durability out there. When compared to regular poles and safety nets, Skytrics stands among the tallest and straightest of them which aces all the safety standards there are. The reason for it is the fact that enclosure nets are installed inside. Skytric has the high weight capacity as well and can be easily transported from indoors to out or vice versa. All you need to do is fix the poles. 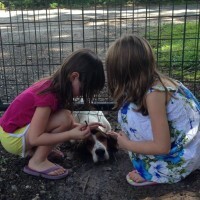 It is made to support a wider age span and can be bounced on by kids from 3 to 10 years old. It fits a high-end price point category but pays great value for the price. Easy to assemble and disassemble - It has the newest pole enclosure system. 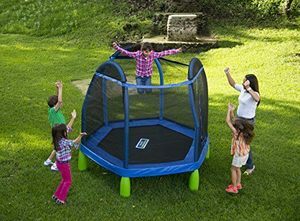 Provides maximum safety - Enclosure net is inside the trampoline for maximum safety to be ensured. Durability and maximum stability - The flex pole systems of enclosure surpass regular enclosure poles. High-end price point category - With all the safety standards followed it costs a bit more but provides maximum security. This piece of work comes in three different sizes, varying from 7 feet diameter to 15 feet diameter more suitable for older kids or more company when bouncing. It has a heavy steel frame and a safety net all around. Water-proof pad filled with foam is also a feature designed for impact protection. All of these features make this kid’s mini trampoline highly entertaining and enjoyable. Highly durable - Heavy steel frame keeps the poles from bending or breaking. Maximum safety - Safety net all around ensures that kids stay inside the jumping area safe and sound. 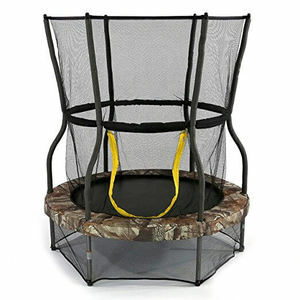 Adjustable- You can choose from 3 different sizes and fit the trampoline in a well-planned manner. Outdoor only - Seems to be made for outdoors only. 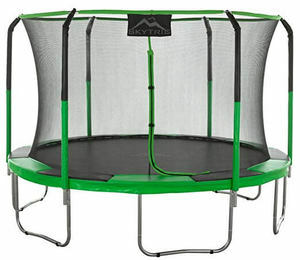 Sportspower is your standard issue kid trampoline perfect for age span from 3 to 10. It has foam on all of the outer edges so toddlers can jump without fear of impacts. It comes at an affordable price and pays off completely. Safety net keeps the kid in check, and its weight capacity is up to one hundred pounds so your kid can have company while bouncing. High-quality safety feats - Safety net keeps the kids in check. Affordable price - Price and quality relation is a desirable one. Sturdy build - Very durable and stable. Hard to install- Anyway, read the manual to install it correctly. In the light of everything previously stated, we believe that these kid trampolines are among the best on the market. Buying any of trampolines mentioned above for kids will guarantee their entertainment and physical activity. 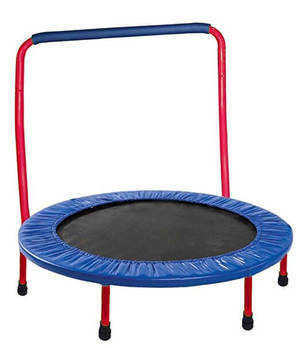 All in all, we hope we made it easier for you in this short kids mini trampoline review. 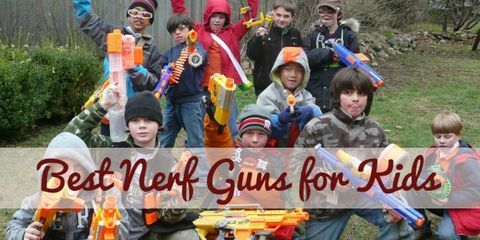 These are the Best Nerf Guns for Your Kids. All are safe for children and fun to play with. 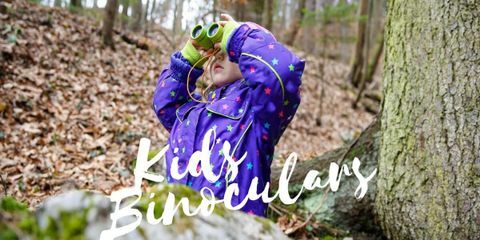 These binoculars for kids are some of the best kids binoculars on the market. Good quality, value, and overall performance. The durability is guaranteed. 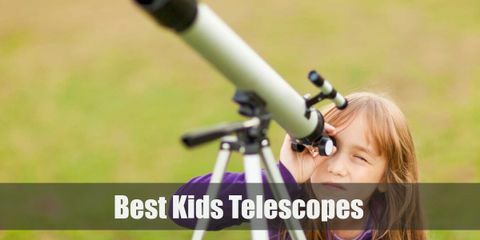 These are the Best Telescopes for Your Kids. All are safe for children and fun to play with.